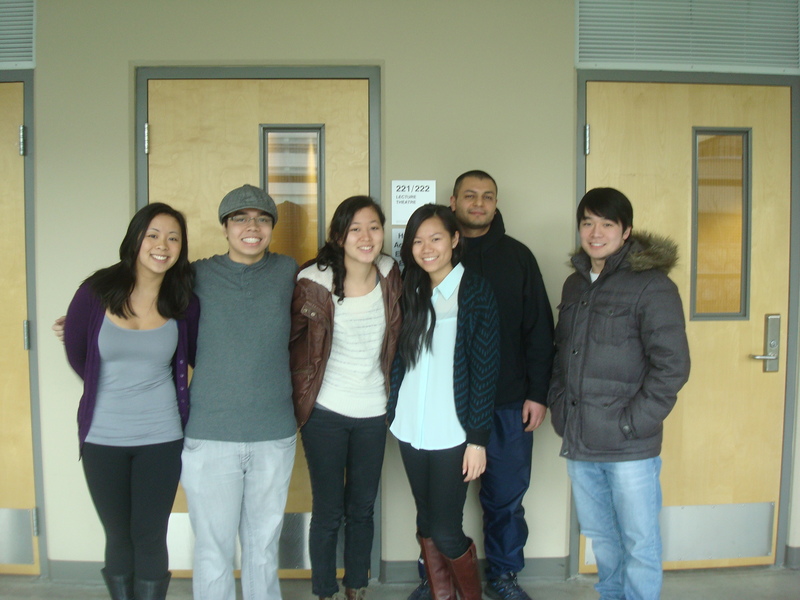 From left to right: Megan, Christopher, Cristina, Jasmine, Peyman, Samuel. Helen Brennek, our team mentor, is a post-graduate Mechanical Engineering student that has been closely involved with Engineers Without Borders. Her diverse community experiences will definitely help guide us though our project from start to finish. Our project is aimed towards designing a vertical food wall at Ray-Cam Community Centre. The main goal behind the project is to develop a sustainable food source for Vancouver’s Downtown Eastside community. Our group will be responsible for working together with community youth to design and plan a vertical food wall. The food wall is to be maintained by the collective efforts of the youth to provide the rest of the community with fresh fruits and vegetables. We expect our project to be completed by mid-March, which is when we will be presenting our final design to our client. Ray-Cam Community Centre started out in 1979 as a Social Recreation Centre and Food Co-operative in the Vancouver Downtown Eastside. Ray-Cam has now developed into a community run service centre where the old and the young gather for recreational and social activities. In addition, Ray-Cam offers pre-school and day-care services for children as well as personal and family support. Ray-Cam is set out to “support and assist in the positive growth of individuals, family and community life” (Ray-Cam). The Downtown Eastside community is one of the oldest neighbourhoods in Vancouver and is a struggling community that has dealt with many obstacles from past to present. The area is known for drug use, crime, homelessness, housing issues and unemployment (City of Vancouver). As the Downtown Eastside continues to face these challenges, community groups such as Ray-Cam are driven to provide opportunities and services for the struggling members of the community. The Vertical Food Wall will act as a stepping stone to helping the community develop a sustainable and viable source of food. In the next two weeks, we will contact Ray-Cam and organize a meeting time to discuss the project in more detail. We will inquire about the various items that need to be clarified develop a project scope. Additionally, we intend to explore the local community during our visit to the centre to get a better grasp on the context of our work. We cannot wait until the project starts to unravel! Downtown Eastside Local Area Plan. City of Vancouver. Retrieved January 23, 2013, from http://vancouver.ca/home-property-development/dtes-local-area-plan.aspx. Ray-Cam Community Centre. Raycam.org. Retrieved January 22, 2013, from http://www.raycam.org. This entry was posted in Uncategorized by samuelwoo. Bookmark the permalink. This is a great start to the project! I’m interested to find out more about the project scope, detailed objectives, constraints, and a description of the deliverable that the client is expecting! Keep up this EXCELLENT work!